Based on a recent study, Millennial drivers are worse than any other group of drivers on the road today. The AAA Foundation for Traffic Safety surveyed 2,511 licensed drivers from August 25th to September 6th 2016. 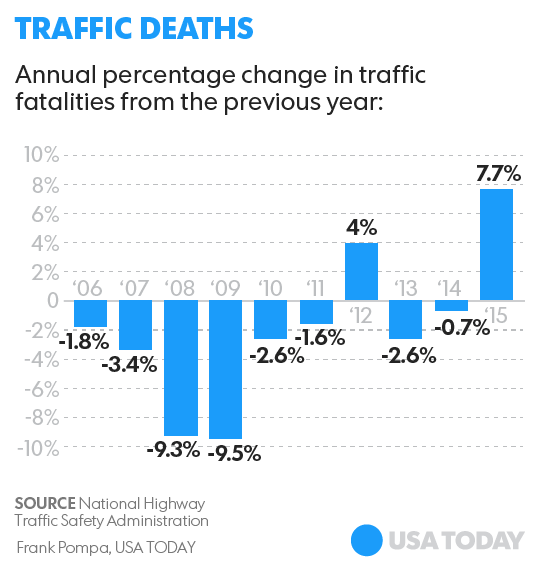 They found the largest group of drivers, millennials were the worst drivers on the roads. 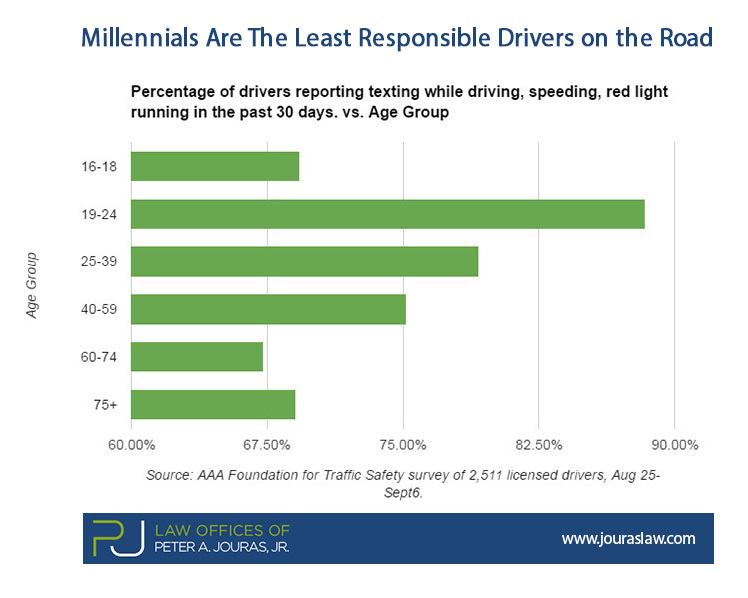 With a total of 88.4% of millennial drivers (age 19 to 24 years old) acknowledging they engaged in risky behavior such as texting while driving, running red lights or speeding, according to the report released in February 2017. Millennials acknowledged typing or sending a text or email while driving at nearly twice the rate of other drivers (59.3% to 31.4%). Nearly half of Millennials reported running a red light even if they could have stopped safely, compared with 36% of the rest of drivers. Nearly 12% of Millennials said it was acceptable to speed 10 mph over the speed limit in a school zone, compared with 5% of other drivers. Information in this article is available in the full report released by AAA Foundation for Traffic Safety. If you’ve been injured by a driver of any age, you have rights and may be entitled to compensation. Call Peter Jouras at (913) 677-1999 now or email us.